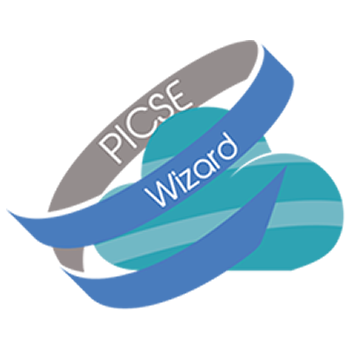 An external pool of senior experts, Carmela Asero, Martin Canning, James Mitchell, Linda Strick and Frank van Dam form part of the PICSE Task Force. These specialists bring expertise on procurement of cloud computing services at European and global level. Together, they are providing advice and guidance on the strategic progress of PICSE and the development of the procurement model, the best practises and the final roadmap. Carmela Asero is policy analyst at the European Commission - Joint Research Centre. In recent years she worked in the area of policy and strategy in different EU projects on cloud computing alongside organizations such as CERN, Cloud Security Alliance and European Grid Infrastructures. Between 2008 and 2011 Carmela was scientific project officer at the European Commission, DG Connect. She gained a solid expertise in digital agenda policies with special focus on cloud and big data. She supported the European Commission as moderator for networking and cloud thematic workshops at Digital Agenda Asembly of 2012 and 2013 and, in many occasion, as expert evaluator for the 7th Framework Programme and Horizon 2020. Carmela holds an MA in Economics, an MA in Diplomatic Studies and a MSc in e-Business. Based in IDC's Amsterdam office Martin Canning holds the position of group vice president, European Consulting. In this role he manages IDC's consulting and custom research business in Western Europe and is responsible for the successful delivery of client projects across all areas of IDC's IT markets coverage. His organization works closely with IDC's clients to understand their specific needs and requirements and to tailor solutions to support their business objectives. Previously he was responsible for IDC's software and IT services research in Europe, and has 17 years' experience with IDC covering all aspects of the software and IT services markets. He has also held the position of regional manager of IDC Benelux, where he was responsible for the complete range of IDC's activities in this region. He is a regular speaker and facilitator at high-level conferences, events, and dinners, covering a broad range of topics related to the use of ICT investments to improve overall business efficiency. Dr. James Mitchell is the CEO of Strategic Blue which specialises in cloud markets and data analysis. His background in commodities trading at Morgan Stanley led to the creation of pioneering financial brokerage concepts that are gaining widespread recognition in the cloud computing industry. Dr Mitchell holds a doctorate in DNA Nanostructures from the University of Oxford and is a frequent speaker on topics relating to the cloud market structure, competition and pricing. You can learn more about Dr James Mitchell and see how Strategic Blue can help your organisation make sense of cloud procurement by visiting strategic-blue.com or following him on Twitter @StrategicBlue. Linda Strick has been with Fraunhofer-Institute FOKUS for over 20 years. She works as a business developer in the application domain of eGovernment. Her main areas of work are in: distributed systems for telecommunications, Service Oriented Architectures and Cloud Computing. She is responsible for the Cloud Computing Lab at FOKUS, which is part of the eGovernment interoperability lab. She has been working with national and international projects, in standardisation organisations and has published several papers. She is the coordinator of the CloudforEurope project funded by the European Commission under its Framework Programme for Research and Innovation. Frank van Dam works as Enterprise IT Architect / Information Strategist for the Ministry of Economic Affairs of the Netherlands. His field of work includes IT Strategy, Enterprise (IT) Architecture, eGovernment, Cloud Computing. He is responsible for the development of the architecture of the “Closed Governmental Cloud” of the Netherlands. This is a cloud owned and managed by government for government. He currently works for the FP7 project Cloud for Europe. Frank holds Master degrees in Business Economics and IT Architecture. In his final Thesis of the MSc IT Architecture, Frank has developed a Cloud Computing Decision Framework.